My first contact with sidemount diving was made when I went to Iceland in September 2014. I was a freshly certified advanced open water scuba diver, had just done my drysuit speciality and went for a dive in Silfra with two more divers from Germany. Both of them had funny little tanks attached to their sides, which I confused for pony bottles at that time. The instructor told me that sidemount was just another way of scuba gear setup, a fancy one. I didn’t mind and I was way too unexperienced to realize anything about their buoyancy or about how they were both able to handle their cameras really well in the water. It was not until after I came home that I saw this on my videos and got very interested. I went back to South Africa, did my rescue diver and after that I went back to Iceland to get my dive master certification. By that time, I had done a lot of diving, a lot of reading and I was keen on going further with my diving education. Many people go for the instructor certification at this point, but I decided not to. I wanted to up my game, learn more about scuba diving, try different things. Now, in September 2015, I find myself at Rudis pool in Simon’s town, writing this article after a good dozen of amazing scuba dives in the cape region. After contacting me about his plans to build a small community of well trained and eager tec divers in the region, I stopped by his shop and signed up for a try sidemount course because I wanted to see what it’s like and how that setup would compare to the setups that I had dived so far. Why should I try sidemount diving? One of the main reasons for me was, that I wanted to look beyond the things I learned about scuba diving so far. 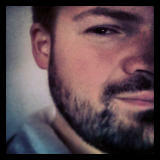 I wanted to take the status quo and replace it with something unknown, to extend my comfort zone. 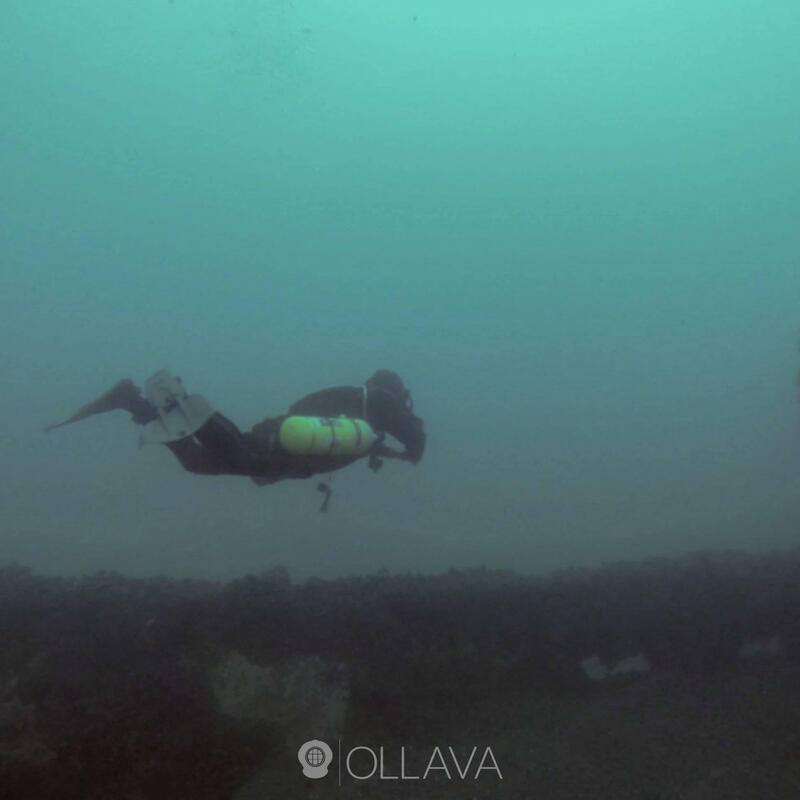 Generally, there are some advantages to sidemount that come into play and make this kind of diving interesting. I just want to list a few of those here, the ones that I find the most interesting and the ones that drew me towards sidemount diving. By the way that your sidemount rig is set up, you will have very little drag and your profile in the water will be perfectly in line with the way that your going. Looking at the Hogarthian model of dive gear setup, you will find that sidemount will bring a lot of the points made in it come free of charge with the way that your general setup is done. You won’t move faster and it will not relieve you from the task of tucking in your gear so it doesn’t float around and break stuff. But you will enjoy the fact that everything is in it’s place and that you have complete control over it. That being said, a big advantage for me is that the cylinders are actually in a place where I can see and access them in whatever way I want: I can open and close the valves, I can detach and re-attach them to my harness whenever I want and all that without them being in the way or blocking anything. For most scuba divers this may seem unnecessary but the longer you do scuba diving and the more you get into this sport, the more important control becomes to you and the ability to solve problems on your own. This point seems funny to me, as I write it, because right now the sidemount harness is just a big, time consuming monster to me: Setting it up after another student has dived in it is a huge act and it takes a long time just to get it into an OK state for me. But knowing that once I have my own gear, not only do I never have to re-adjust it for every dive but also the amount of settings that I can do are just mind-blowing. Compared to all the back mount BCDs that I have seen and dived, the way that sidemount rigs are set up just seems so right. Everybody who has done more than advanced open water diving as a certification knows how complicated problem solving under water can be: Freeflows, half-opened valves, broken or damaged regulators… All of those problems do not occur often and if you’re diving within your limits will not pose a life threatening problem to you. But it’s just very nice to know that now you can solve all of them on your own and that the way sidemount diving is taught and done actually prepares you for it very well without any extra effort. Because you dive with two cylinders and both of them have a complete set of SPG and first stage and regulator, you are no longer relying on a buddy for air in the case of a regulator free flow. Just change the reg, close the valve on the failing side and end your dive. With fathering, you can even end a dive on a free-flowing regulator if you have to. 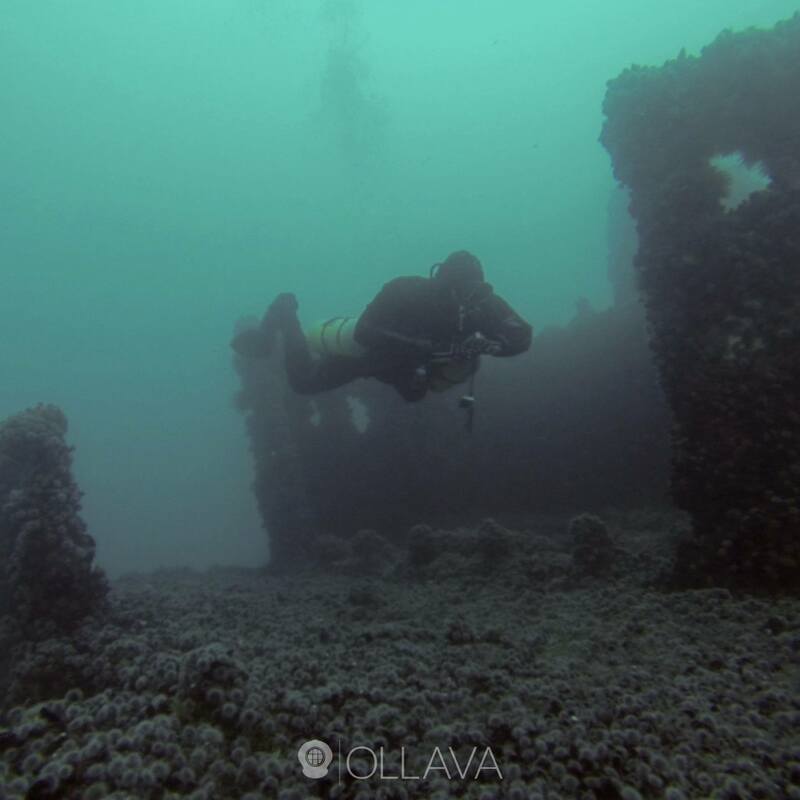 Is sidemount only for tech diving, does it make sense in recreational diving? My short answers would be: No and yes. No, I don’t think that sidemount diving is solely for tec divers and that is kind of proven by the amount of recreational divers that use it today. My friends from Germany are both non tech divers and have done hundreds of dives on back mounted gear as well as hundreds of dives on sidemount rigs now. Yes, sidemount came from inherently techy diving sections like cave and deep wreck diving but that does not mean that it only works there. It did solve one or more specific problems of these domains but when you look at it, some of them a pretty general problems in scuba diving and everybody benefits from solving them. In my opinion, sidemount can make a lot of sense in recreational scuba diving and it might even be easier for most people to learn, if it wasn’t for the gear-setup. I found it much easier to get my buoyancy right with the sidemount rigs than with all the back mount gear that I used. Setting up the cylinders in terms of the clips and straps is a bit more complex, but then again you don’t have to master that to be able to dive it. Where can I learn to do or more about sidemount diving and what do I learn during the course? There are several diving agencies that offer sidemount courses and you can refer to the one that you are using to find out about the courses they offer. 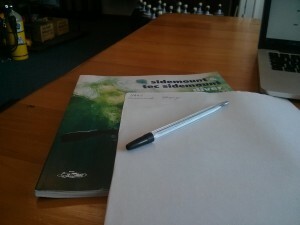 I did my certification with PADI and will provide some more detailed infos on this here. With PADI you can basically choose from two courses for sidemount diving: The recreational and the technical course. The recreational sidemount course consists of a small theory section, one confined and three open water dives in which you will learn how to set up your gear, get your trim and buoyancy right and how to control the cylinders. You will also learn about the differences in regulator handling and how to deal with out of air situations (which slightly differ from the way you’re used to from your OWD course). 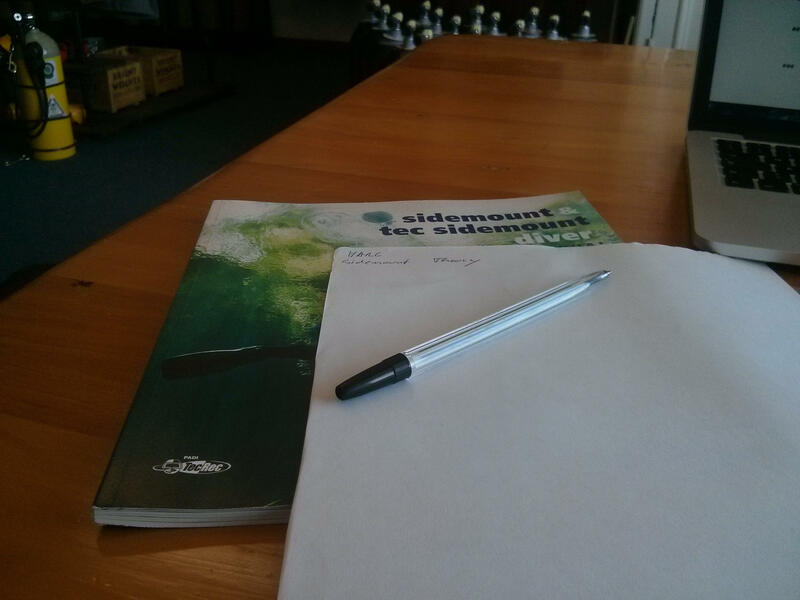 The Tec sidemount course consists of a slightly larger theory portion and another five dives. You learn about the handling of multiple cylinders, feathering, gas switches and staging cylinders and handling of regulator failures. The basic course costs around 4500ZAR here in South Africa, some dive shops in the US can charge around 1200$ US for the course and in Europe prices range from 400€ upwards. So to give a proper price range I’d say you can land anywhere inbetween 300 and 1200$ US, depending mainly on the location and instructor experience. 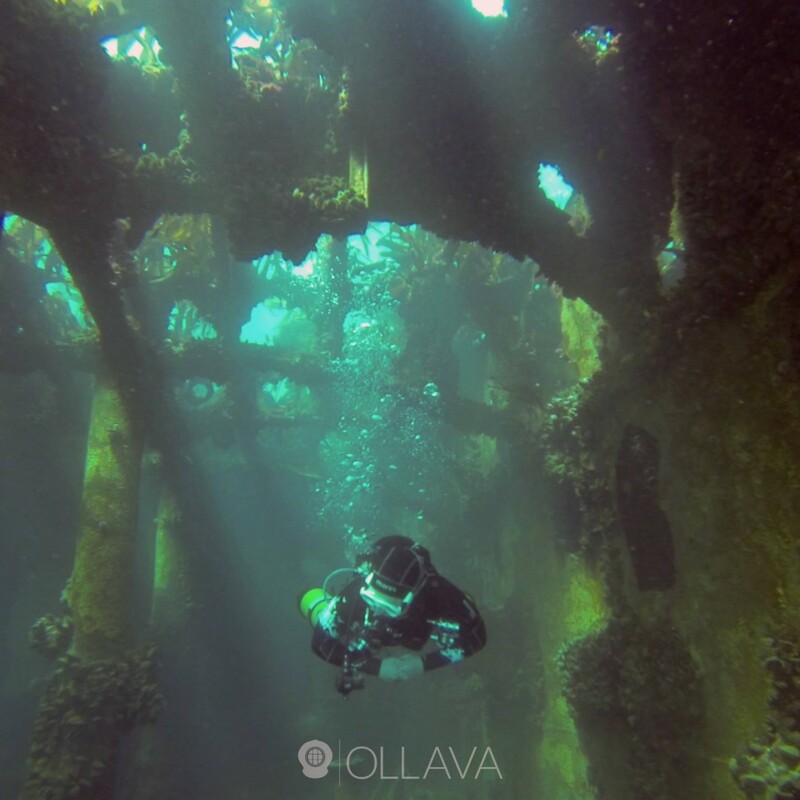 If you find yourself in South Africa and are interested in sidemount diving, I can strongly suggest to pay Rudi a visit at Ollava Dive Center in Simon’s Town. Rudi Human is a very experienced and passionate scuba diver with years of experience from thousands of dives and aims to bring excellent diving to South Africa. I have been very impressed with the way that Rudi is setting up his operations in Simon’s Town and how he and his team try to bring the diving in the region to another level. 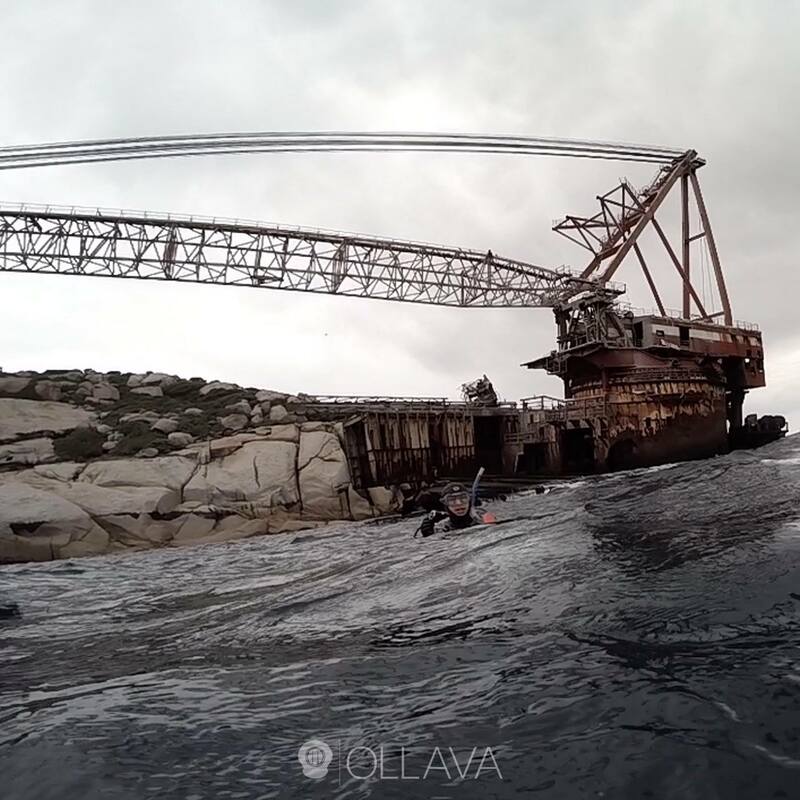 Ollava specialises in sidemount and technical diving, but does fun dives as well. So while you’re doing dives with the sharks at Miller’s point or with the seals at Seal Island you might also squeeze in an extra day or two and try out sidemount. Meine ersten Berührungspunkte mit einem Sidemount Setup hatte ich im September 2014 in Island. Als frisch zertifizierter Open Water diver hatte ich ein paar Tauchgänge in Island gebucht, wo ich mit zwei weiteren Deutschen tauchte. Beide hatten lustige kleine Gasflaschen an ihren Seiten hängen und sonst nur ein paar Gurte über ihren Taucheranzügen. Ich dachte damals das seien Pony bottles und mein Guide sagte mir das sei Sidemount und es sei einfach eine andere Art von Equipment. Ich war viel zu unerfahren um mich weiter darum zu kümmern und habe auch nicht mitbekommen wie gut beide tarieren konnten und wie problemlos sie ihre Kameras still hielten. Erst als ich meine Videos zu Hause sichtete, wurde mir dies bewusst und mein Interesse war geweckt. Ich flog zurück nach Südafrika wo ich meine Ausbildung zum Rettungstaucher machte und etwas später kehrte ich nach Island zurück um meine Ausbildung zum Divemaster zu machen. Danach hatte ich einige Tauchgänge hinter mir und hatte viel zum Thema gelesen. Ich wollte meine Ausbildung weiter voran bringen. Viele schlagen an dieser Stelle den Ausbildungsweg des Tauchlehrers ein, ich entschied mich dagegen. Statt zu lehren wollte ich erst einmal meine eigenen Fähigkeiten ausbauen und verschiedene Dinge ausprobieren. Jetzt, im September 2015 finde ich mich am Pool von Rudi in Simon’s town wieder während ich diesen Artikel schreibe und dutzende von Tauchgängen in der Kapregion hinter mir habe. Rudi will hier eine kleine aber feine Truppe an technischen Tauchern zusammenbringen und kleine Projekte vorantreiben. Ich schaute auf einen Kaffee bei ihm vorbei und wir vereinbarten einen Termin für einen Sidemount Kurs. Ich wollte endlich selber herausfinden, was es mit diesem Setup auf sich hat. Was sind die Vorteile des Sidemount Tauchen? Einer der Hauptgründe dieses Setup auszuprobieren war für mich, dass ich, dass ich über den derzeitigen Horizont hinaus gehen wollte. Mein Status Quo war mir sicher genug um ihn zu verlassen und meine Komfortzone zu erweitern. Generell gibt es viele Vorteile die das Sidemount Setup mit sich bringt und diese Art zu Tauchen interessant machen. Im Folgenden möchte ich nur einige davon beschreiben, jene die es für mich am interessant machten und schlussendlich dazu führten, dass ich mich als Sidemount Taucher ausbilden ließ. Durch die Art und Weise in welcher das Sidemount Setup aufgebaut ist wirst du inhärent wenig drag und ein sehr Stromlinienförmiges Profil haben (Sorry, aber ich tue mich mit den deutschen Ausdrücken hier sehr viel schwerer als im englischen Artikel 😉 ). Wenn du dir das Hogarthian model of dive gear setup ansiehst wirst du erkennen, dass im Sidemount setup viele der Punkte daraus implizit umgesetzt werden ohne dass man dafür einen besonderen Aufwand betreiben müsste. Du wirst durch dieses Setup nicht schneller im Wasser und auch von der Aufgabe deine Tools und Gerätschaften so zu verstauen das sie nicht umherschwirren und irgendwas kaputt machen bist du nicht befreit. Trotzdem wirst du die Tatsache lieben lernen, das alles seinen Platz findet, gut erreichbar ist und du trotzdem ein großes Maß an Kontrolle über dein Setup hast. Ein großer Vorteil aus meiner Sicht ist die Tatsache, das die Gasflaschen an einem Ort sind, wo ich sie sehen und vollkommen Verrenkungsfrei bedienen kann in jeglicher Art und Weise wie es mir beliebt: Ich kann die Ventile öffnen und schließen, ich kann die Flaschen von meinem Harness lösen und wieder befestigen und all dies ohne etwas zu blockieren oder vorher einen Yoga Kurs besuchen zu müssen. Das mag dem Sporttaucher seltsam erscheinen und unnötig, aber wer regelmäßig taucht wird verstehen wie viel angenehmer ein Setup ist welches man zum größtmöglichen Teil unter seiner Kontrolle hat, was dazu führt das man Probleme selbstständig lösen kann. Während ich diese Zeilen schreibe, kommen sie mir selbst wie eine große Lüge vor denn zu diesem Zeitpunkt sind die Sidemount BCs für mich ein großes, wildes Geflecht aus Riemen. Ein Monster das es zu bändigen gilt. Aber so kam mir auch das Backmount Setup am Anfang vor und das blieb im Grunde so bis ich mein eigenes Equipment hatte bzw. so 20-30 dives. Die Möglichkeiten zur Anpassung die mir die verschiedenen getesteten Rigs anboten waren überwältigend und die Art wie das Sidemount setup generell gestaltet ist fühlt sich intuitiv richtig an. Jeder der eine Zertifizierung jenseits des Advanced OWD hat weiß um die Schwierigkeiten des Problemlösens unter Wasser: Freeflows, halb geöffnete Ventile, beschädigte Atemregler. All diese Probleme kommen regelmäßig vor, ob du nun regelmäßig und mit deinem eigenen oder selten und mit Leih-Equipment tauchst. Egal wie, sie stellen immer eine Gefahr für deine Gesundheit dar. Für mich ist es einfach beruhigend zu wissen, dass ich mit dem Sidemount Setup einige davon besser und einfacher im Griff habe und das die Art und Weise wie man mit diesem taucht mich implizit darauf vorbereitet sie im Notfall entspannt anzugehen. Weil du mit zwei getrennten Flaschen tauchst, kommen beide mit einer getrennten ersten und zweiten Stufe und einem eigene Finimeter (SPG). Im Fall eines Defekts kannst du also immer auf die jeweilig andere Seite wechseln und den Tauchgang sicher beenden. Durch die gute Praxis immer in Portionen die Luft aufzubrauchen und dafür regelmäßig deinen Atemregler zu wechseln, schleift sich die Routine des Prüfens und Reglerwechselns so ein, dass es im Notfall gar keine Umstellung mehr ist. Bei diesem Setup kann ich sogar mit zwei freeflowenden Atemreglern einen Deko-Tauchgang sicher beenden, indem ich die Flaschen einfach immer nur dann öffne wenn ich einatme: Feathering. Ist Sidemount tauchen nur für technische Taucher interessant und macht es Sinn für Sporttaucher? Meine kurzen Antworten wären Ja bzw. Nein. Nein, ich denke nicht dass Sidemount einzig im technischen Tauchen seine Daseinsberechtigung hat und das ist im Grunde auch dadurch bereits bewiesen, dass es unzählige Sporttaucher mit dieser Konfiguration gibt. Die beiden deutschen Taucher von denen ich weiter oben schrieb haben hunderte Tauchgänge in beiden Konfigurationen hinter sich. Ja, Sidemount wurde aus einer sehr technischen Schiene des Tauchsports heraus geboren, dem Höhlentaucher, aber das heißt nicht das es nur dort Sinn macht. Es löste dort ein bestimmtes Problem, aber andere Taucher haben dieselben Probleme beim Tauchen in gänzlich unterschiedlichen Settings. Meiner Meinung nach macht das Sidemount Setup eine Menge Sinn, vielleicht sogar gerade im nicht-technischen Tauchen und für Anfänger: Ich fand es ein vielfaches einfacher meine Taxierung mit diesem Setup zu optimieren als mit jedem anderen Setup das ich bis heute benutzt habe. Das initiale Setup kann eine Kunst für sich sein und Enthusiasten verbringen sicher gerne Stunden damit dies zu perfektionieren doch für einen ersten Tauchgang muss man dies nicht. Wo kann ich mehr über sidemount Tauchen erfahren und wo kann man den Kurs absolvieren. Es gibt Sidemount Kurse bei allen größeren Tauchverbänden, am besten du wendest dich an deinem jeweiligen Verband und erkundigst dich welche Kurse angeboten werden. Ich habe meine Zertifizierung mit PADI gemacht und werde daher etwas detaillierter über deren Kurs berichten. Bei PADI kannst du generell zwischen zwei Arten des Kurses wählen, dem recreational und dem technical Sidemount Kurs. Der erste ist Voraussetzung für den Zweiten. Der recreational Kurs besteht aus einer kleinen Theoriesitzung und einem confined und drei Freiwassertauchgängen. Während dieser Tauchgänge lernst du das Setup, die Anpassung an deine Bedürfnisse, Tarierung und Trim sowie die Kontrolle der Flaschen. Außerdem lernst du die Unterschiede im Bezug auf das Handling der Atemregler und wie man mit bestimmten Problemen umgehen kann. Der technische Teil des Kurses hat eine minimal größere Portion Theorie und weitere 5 Tauchgänge. Während diesen wirst du lernen wie man mit mehreren Zylindern umgeht, Stage-Zylinder anbringt und wieder ablegt, feathering (Atmen von defekten Reglern), wechseln des Atemgases und den Umgang mit weiteren Problemen. Der komplette Kurs kostet in Südafrika 4500 Rand (299€), in den USA habe ich Angebote von rund 1200$ (1089€) gesehen und in Europa sind die Preise im Bereich um die 400€ angesiedelt. Du siehst, die Preisspanne ist riesig und um es zu vereinfachten verallgemeinere ich hier und sage: Irgendwo zwischen 300€ und 1100€. Solltest du dich in Südafrika wiederfinden und Interesse am Sidemount Tauchen bekommen haben, kann ich wärmstens den Besuch bei Rudi im Ollava Dive Center in Simon’s Town empfehlen. Rudi Human ist ein sehr erfahrener und passionierter Taucher mit vielen Jahren Erfahrung aus tausenden von Tauchgängen und hat das Ziel exzellente Taucher nach Südafrika zu bringen und zu exportieren. Ich war sehr beeindruckt davon wie Rudi seine Tauchbasis und die Projekte drumherum in Simon’s Town aufzieht und wie er versucht der Tauch Community etwas zurück zu geben. Ollava spezialisiert sich in Sidemount und technischem Tauchen, aber hier kann man ebenso gut seinen Open Water Kurs oder einfache fun dives absolvieren. Wenn du dich also in der Region zum Tauchen wiederfindest kannst du auch ein paar Stunden dran hängen und es einfach mal ausprobieren. Ich habe alle Bücher auf Englisch gelesen, einige gibt es auch nur in der Originalfassung während Andere auch in’s Deutsche übersetzt wurden. Ich verlinke wo möglich beide Varianten. Das erste Buch – Shadow divers – habe ich kostenlos als Hörbuch bekommen, und in Island während meiner Zertifizierung zum Divemaster gehört. Irgendwann sah ich eine Dokumentation zum Thema Tauchen auf Youtube und darin ging es neben dem letzten Tauchgang von David Shaw auch um die Identifizierung eines deutschen U-Boot vor der Küste New Yorks durch John Chatterton und Richard Kohler. Mit diesen Namen im Gepäck war es dann etwas einfacher die folgenden Bücher zu finden, die ich euch heute vorstellen möchte. Shadow divers erzählt die Geschichte einer Gruppe von Tauchern die vor der Küste New Yorks das Wracke eines deutschen U-Bootes entdecken und sich zur Aufgabe machen, dieses einwandfrei zu identifizieren. Die Geschichte spielt Anfang der 90er Jahre, in einer Zeit in der Mixed-gas Tauchen gerade erst aufkam bzw. von vielen noch als zu riskant eingestuft wurde, weshalb viele der Tauchgänge zu U-Who – so hatte Chatterton das unbekannte Wrack getauft – mit normaler Atemluft stattfanden. Diese Aussage wird dann interessant, wenn man bedenkt dass U-Who auf einer Tiefe von 70m liegt. Die Geschichte hat alles was man für eine großartige Erzählung braucht: Tragische Helden, waghalsige Abenteuer, Tragödien und Glücksmomente. Über sieben Jahre dauert die Mission und während viele der Mitglieder schon früh aussteigen, bleiben einige (wie Chatterton) dabei und neue (wie Kohler) kommen hinzu. Beide zahlen letzten Endes einen hohen Preis, denn ihre Frauen verlassen sie, während drei andere Mitglieder der Expedition den ultimativen Preis bezahlen. Ein Taucher stirbt am Meeresgrund und zwei weitere erleiden schwere Fälle von Dekompressionserkrankungen und sterben an den Folgen. Die Taucherkrankheit ist Teil der Geschichte und wird im Buch detailiert beschrieben, genauso wie die Geschichte des Gerätetauchens und Gundlagen des technischen Tauchens. Das Buch ist allerdings in keiner Weise ein Sachbuch! Besonders reizte mich an dem Buch die Tatsache, dass es den Tauchsport in seinen Ursprüngen beschreibt, in einer Zeit in der vieles noch reine Theorie war und Pioniere wie Chatteron und Kohler den Sport definierten. Auch wenn es sich um eine wahre Geschichte handelt, muss man wohl leider sehr kritisch hinterfragen wie objektiv sie erzählt wird. Das wird insbesondere dann klar, wenn man sich auch das Buch The last dive anschaut, in dem die Geschichte von einer anderen Person und Seite erzählt wird und deutliche Unterschiede sichtbar werden. In The last dive berichtet der Tauchlehrer Bernie Chowdhury über den Tod der beiden Taucher Chris und Chrissy Rouse, Vater und Sohn die 1992 bei einem Tauchgang zum U-Who U-Boot vor der Küste New Yorks starben. Das ist zumindest der rote Faden im Buch, die Ausführen erstrecken sich allerdings noch um viele weitere Ereignisse wie deren Ausbildung zu Höhlentauchern in Florida und seine eigene Ausbildung zum Taucher. Chowdhury berichtet außerdem aus erster Hand wie sich die Taucherkrankheit – The bends – anfühlt, denn er tauchte in einem Moment der Panik aus einer Tiefe von mehr als 50m ohne Dekompressionstop auf und überlebte diesen Vorfall nur durch großes Glück. Dieses Buch beschreibt u.a. auch die Geschehnisse um die Identifizerung des U-Who aus einer anderen, neutraleren Sicht und da Chowdhury das Wrack ebenfalls betaucht hat sind diese Ausführungen natürlich umso spannender. Neben einem großen Fokus auf Dekompressionserkrankungen und auch psychische Hintergründe von Tauchunfällen, war das Fesselnste an diesem Buch für mich klar erkennen zu können das hier jemand persönliche Erlebnisse nutzt um externe Geschehnisse zu beschreiben. Wenn jemand der die Qualen einer zu schnellen oder fehlenden Dekompression selbst erfahren hat, die Geschehnisse um die Rouses kommentiert, bekommen diese einen ganz anderen Hintergrund. Außerdem werden in diesem Buch Parallelen im damaligen Tauchsport sichtbar, wo Höhlentauchtechniken zum ersten Mal auch bei Tiefseewracks Verwendung finden und Gemischtgas-Tauchen erst langsam Einzug erhält. Bei Pirate hunters handelt es sich weniger um ein Buch zum Thema Tauchen an sich sondern mehr um die Geschichte von John Chatterton und John Mattera, die sich auf die Suche nach einem im siebzehnten Jahrhundert gesunkenen Piratenschiff machen. Das Tauchen steht hierbei eher im Hintergrund und auch die technische Seit der Suche wird nur in ihren Grundzügen erklärt. Das Buch fesselte mich als Leser aber dadurch, dass es sehr realistisch beschreibt wie explorative Expeditionen meist ablaufen und das dies weit weniger abenteuerlich ist als man sich dies wohl vorstellt. Sehr detailiert beschreibt der Autor – der auch Shadow divers verfasste – die Anstrengungen welche die beiden Abenteurer auf sich nehmen, das nervenzehrende Warten und die schwierigen Umstände. Wer sich für den Tauchsport nicht nur aus taucherischen, sondern auch aus explorativen Gründen interessiert und zwischen den Zeilen lesen kann wird hier eine hilfreiche Informationsquelle vorfinden. Von logistischen Herausforderungen über die Finanzierung bis hin zu historischen Recherchen und politischen Quelereien werden alle Aspekte der Expedition angesprochen und der Leser bekommt einen guten Rundumblick auf ein solches Vorhaben. In ‚Raising the dead‚ wird ebenfalls über Dave Shaw geschrieben und so wie ich die Rezensionen verstehe geht es hier mehr um die technischen Details der Aktion. Aber egal in welchem Blickwinkel das Buch die Geschichte angeht, aus den zwei Büchern zum Thema U-Who wurde mir klar dass es immer eine gute Idee ist einen realen Sachverhalt aus zwei Blickwinkeln zu beleuchten. In ‚The fireside diver‚ teilen viele bekannte Taucher ihre Geschichten zum Thema. Die Rezensionen sind gemischt und es gibt keine E-Book Variante, deshalb landet das Buch etwas weiter unten auf meiner Liste. Bei ‚Lost wife, saw barracuda‚ handelt es sich um die Geschichten eines Tauchlehrers die er lustig zusammenfasst. Die Rezensionen sind ziemlich gut und deuten auf ein kurzweiliges Lesevergnügen hin. Derzeit bin ich eher an technischem Tauchen interessiert und weniger am recreational diving, also landet dieses Buch für eine spätere Zeit auf dem Kindle. In diesem Buch beschreibt Richard Kohler, einer der Protagonisten aus Shadow Divers, die Umstände um das Schwesterschiff der Titanic und beleuchtet u.a. auch den historischen Kontext. Das Thema Tauchen kommt ebenfalls nicht zu kurz, so wird zum Beispiel in großem Detail beschrieben was es bedeutet in Tiefen von über 100m hinab zu tauchen. Mystery of the last Olympian ist ein weiteres Buch mit großem Potential und derzeit ganz weit oben auf meinem Amazon Wunschzettel. Diese Bücher werden heute nicht mehr gedruckt und so kann man nur hier und da mal gebrauchte Exemplare finden. Leider sind auch keine digitalen Versionen vorhanden. Sheck Exley, einer der Pioniere des Höhlentauchens schrieb in den 80ern den Leitfaden zum Überleben, ‚Basic Cave Diving: A Blueprint for Survival‚. Die wenigen Verfügbaren Kopien stehen vermutlich bei älteren Tauchern im Regal oder in Tauchschulen die sich mit technischem Tauchen auf höchstem bzw. tiefstem Niveau beschäftigen. In ‚Caverns measureless to man‚ beschreibt Exley dann etwas später wie er den Sport wahrnimmt und beschreibt seine persönliche Laufbahn detailiert. Außerdem beleuchtet er den Werdegang dieses jungen Sports und seine Historie. Ebenfalls ein Klassiker den man leider nicht auf dem Kindle bekommt sondern nur bei Sammlern. Insbesondere Bücher in den es um das Tauchen jenseits der recreational limits geht, also tiefer als 40m und in overhead environments fand ich extrem spannend und habe sie mit großem Vergnügen gelesen. Auch das Tauchen mit einem bestimmten Ziel – also einem Anderen als möglichst viele bunte Fische zu sehen oder kaltes Wasser zu vermeiden – fasziniert mich und so sind insbesondere die Geschichten von Chatterton und Kohler von hohem Interesse für mich. Die Bücher sind übrigens ein tolles Geschenk für Familie und Freunde die gerade mit dem Tauchen angefangen haben. Auf dieser Seite befinden sich Links zu Produkten. Wenn ihr diese über den Link von hier erwerbt bekomme ich eine kleine Provision, euch entstehen keinerlei Kosten.